We would like to say a big thank you for signing up to our newsletter. We intend to keep you up-to-date with ongoing projects such as Ed’s chestnut bed design/build and all manner of buildy things. We will also give you a taster of what is happening on the hill. We would like to tell everyone that we have created a Special Offer Price on all DugOut bookings made before 31st December this year. Three-night weekend stays are £660 (a saving of 20%). Five-night stays are £1100 (a saving of 20%). The two-night midweek stays are unchanged at £550. We have had lots of people asking about ‘doing’ things when they come to stay. 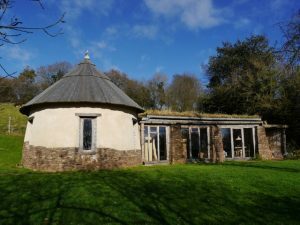 So we have decided to run optional craft workshops and smallholding sessions. 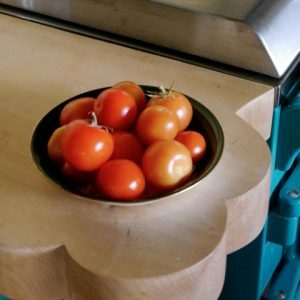 This two-hour craft workshop is an introduction to the woodworking techniques and practices used by Ed to shape many of the things that you will see around you when you come to stay. 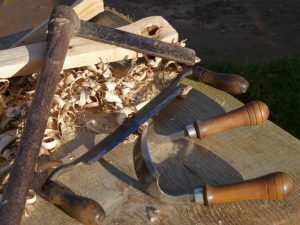 The tools you’ll be using will predominantly be the froe, for splitting the round wood timber and the draw knife and in-shave for cleaning and shaping. Working wood in this way is fun to do and extremely rewarding. The workshop can be tailored to suit absolute novices through to experienced woodworkers. One or both of our guests are welcome to join in on this course. The two-hour session led by Rowena will give an overview of how and why things are done on our smallholding. The two hours can be tailored to suit. It might be that you would like to walk around all the animals, learn about them and how they are looked after. 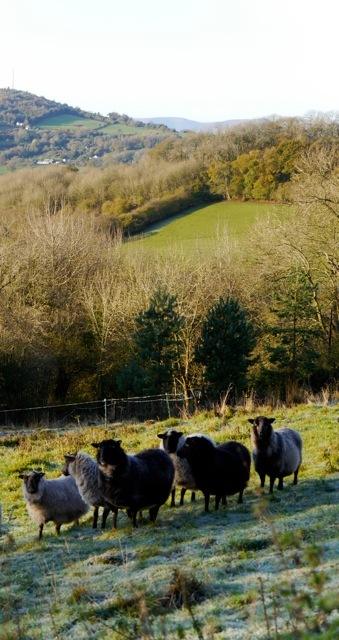 You might want your session to be all about the care and management of Shetland sheep or simply helping to tend part of the garden. Maybe you have a dream to groom Looby, the pony and to then go for a walk down the lane with her. We can make the course into whatever suits you. One or both of our guests are welcome to join in on this course. We can be flexible on both the day and the timings of these sessions, within the period of your stay. The woodworking session and the smallholding session each cost £50. This price is the same whether for one or two people. When booking a stay at the DugOut, please express your interest in signing up for a session by writing in the message box. As we always get in touch a few weeks before your stay, this is another time you can express interest in signing up for a session. Payment will be taken on the day of the session. I’m just making a start on the chestnut DugOut bed. 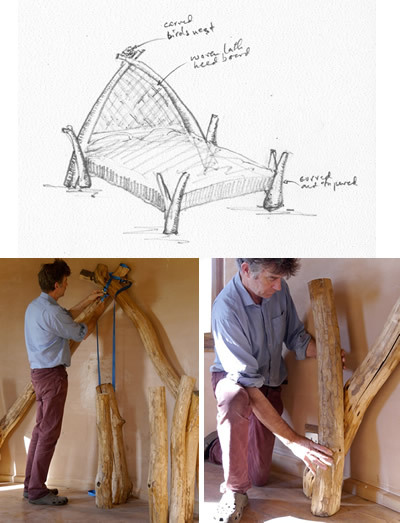 This is the beginning of the cruck head and I am also thinking through how the sides of the bed are going to come together. Picking up of horse poo is a daily task. It is a valuable commodity and goes on the compost heaps. I am also taking mole hills off the Far Field, to be distributed on flower beds. Perfect jobs on a sunny autumn day. Outside we are just beginning to get the frosty early mornings. 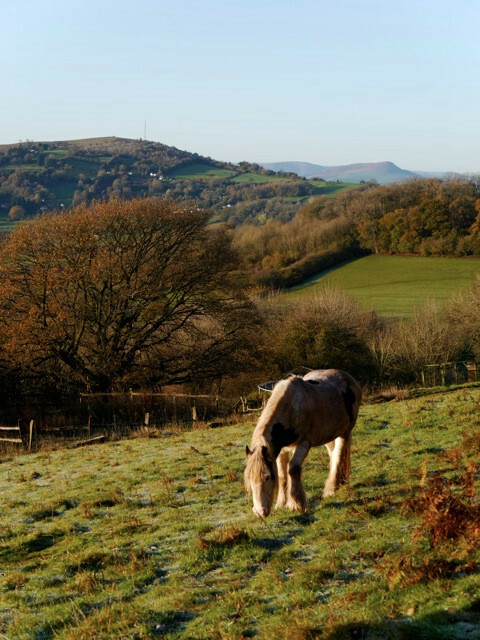 Minstrel grazing with the Skirrid in the distance. In the glass house, the last of the tomatoes are ripening on the vine. I have mixed feelings as I collect these autumn treasures, glee as I decide on the dish I will make with them and just a touch of sadness as I recognise that there will soon be no more fresh tomatoes until summer next year. Here is an old Cranks recipe that I would like to share with you. It is delicious with fresh tomatoes and quick and easy to make. Chop the onion and potato. Quarter the tomatoes. Melt the butter and saute the onion until transparent. Add potato, tomatoes, garlic, bay leaf, tomato puree and stock. Cover and simmer for 20 minutes. Take off the heat and REMOVE THE BAY LEAF and discard. Whizz the soup, then add the milk. Reheat when you are ready to eat, adding salt and pepper to taste.